At this point in our study of the blues, now it’s time to introduce the blues scale. 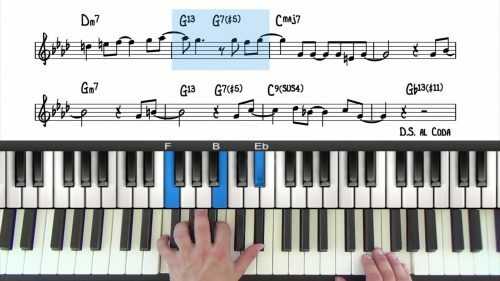 For many students, when starting out with blues improvisation, it’s very easy to get locked inside the notes of the blues scale and never deviate away from 6 tones. 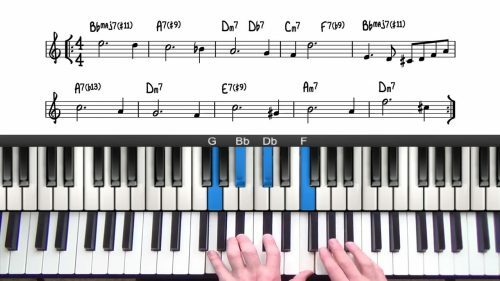 The blues scale can sound amazing when used effectively, but the problem is that beginner jazz students will tend to just play up and down the scale for the whole solo. This is not particularly interesting and the overall direction and story behind the solo sounds very predictable. Well, first of all, you now have the foundations in place. These foundations are the effective use of chord tones, flowing approach patterns to smoothly connect your chord tones, and finally the ability to add passing tones and employ chromatic scale passages. And so now, the blues scale is just another dimension that you can add to your solo, instead of it being the whole solo. As we have seen in previous lessons, you can create a professional sounding solo with just chord tones & carefully chosen approach patterns. But the blues adds that sprinkle of magic. Everybody loves blues licks and riffs and there is something magical about that group of notes…. It’s just a matter of using and employing them properly. We know that every major scale has a relative minor scale. So for if we take the C Major scale, and then play the same notes starting a minor 3rd below the root , we then have the A natural minor scale. Well it’s a very similar concept with blues scales. First of all we have the minor blues scale built from which contain the root, b3, 4, b5, 5 and b7. Well if we build a blues scale from a minor 3rd below the root of the F blues scale, that would be the D minor blues scale, and if we play those notes from F to F we have the basic major blues scale. Another way of looking at the major blues is the major pentatonic with a b3. So now let’s talk about usage of these 2 scales. In the next lesson we will explore blues licks but for now we’ll keep it simple and just talk about how and when to use these 2 scales. The minor blues has a funkier sound, whereas the major blues scale has a more soulful and happy sound — this is because it contains the major 3^rd^ and 6th which gives it a major quality. The extended blues scale is the major and minor blues scale combined. The extended blues scale gives you some interesting shapes to play that produce both a funky and gospel infused sound. We’ll look at this more in the next lesson in this series where we explore some of the intricacies of blues licks. 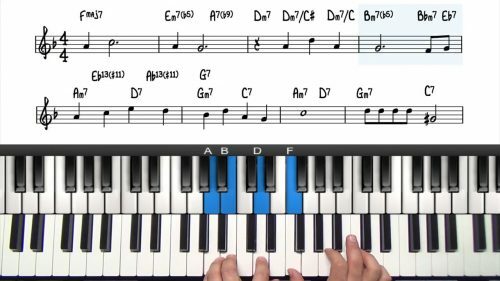 Build a blues scale from a minor 3rd below the root of the F blues scale, that would be the D minor blues scale, and if we play those notes from F to F we have the basic F major blues scale. The F Major pentatonic scale is F-G-A-D-E and the b3 would be Ab to get the F Major blues scale. This is perhaps the easiest method... considering you know you major pentatonic scales.